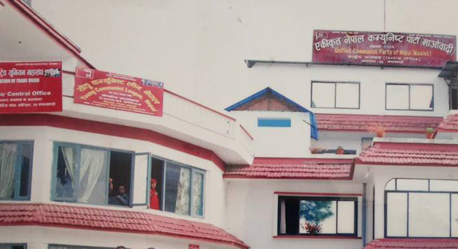 POKHARA, Feb 25: As it is a compulsion for the provincial assembly members to attend each meeting of the newly formed provincial assembly, many members have started searching for rented rooms and houses for accommodation. Lawmaker Binod KC, who got elected to the provincial assembly from Myagdi, has been busy searching for rented room in Pokhara. Though he has not yet found any room, he has realized that the rent is quite expensive in Pokhara. "Finding a room for rent is not difficult but paying the rent could be challenging," laments KC. As per his analysis, house owners charge political leaders with extra rent anticipating large number of visitors to their homes. "We cannot always stay at hotels or our friends' home. We must manage a residence for rent," said KC. Similarly, Tek Bahadur Gharti, who got elected to the provincial assembly from Baglung , was attending meetings of the province by staying in hotels. But now, he has made his mind to rent a room. "We are obliged to spend more than Rs 20,000 per week in hotels. But we cannot afford to live this way," Gharti said. The government has assured to provide Rs 12,000 to 15,000 monthly to provincial assembly members for residential expenses. However, the elected members lament that it's not enough. "Few days ago, I had found a flat for Rs 17,000. As it took me some time for confirmation, the flat was given to someone else," said Gharti. According to him, they will have to spend at least Rs 18,000 to Rs 20,000 for rent. Besides that, traveling in taxis for various meetings and programs have been equally expensive for them. As per the experience of leaders, Pokahra is expensive also because it's a tourist destination. Likewise, Krishna Thapa, another lawmaker elected from Baglung, is having a hard time finding a flat. "I have urged all my friends to help me find a flat on rent but have not found one yet," said Thapa. Since the catastrophic earthquake of 2015, locals have started making small-sized quake resilient houses. This has added problems for the people who can only afford to live in rent. Most houses do not have enough rooms and those which have charge high amount of money.